Taiwan is every milk tea lover’s paradise. But pretty soon, you wouldn’t need to travel far to get your dose of authentic boba teas because another renowned brand is coming to Manila. First established in 2013, The Alley is one of the first milk tea brands to start the brown sugar milk craze in Taiwan, if not the first. They pride themselves to have their own homemade sugar cane syrup and Deerioca—a term for their in-house tapioca pearls which are hand-kneaded from scratch. Since then, they’ve opened stores globally including branches in Canada, USA, France, Japan, China, New Zealand, and many more. They’re opening this May at the ground floor of SM Mall of Asia, right across H&M and Bench to be exact. But later this year, expect more branches to pop up at O Square 2 in Greenhills, SM North EDSA, The Podium, and SM Sta. Mesa. This house specialty has become a crowd favorite. The cold drink is said to provide a nice contrast to the warm Deerioca pearls. 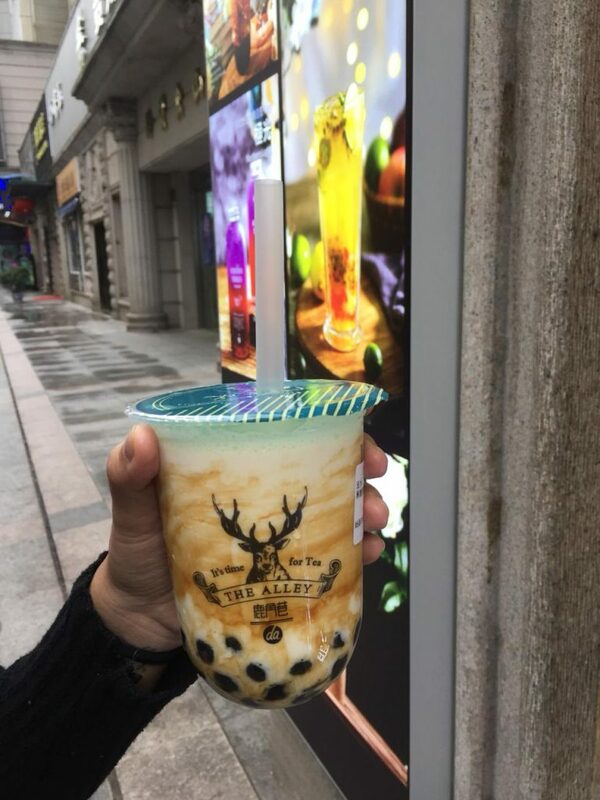 One of our writers, who went on a trip to Shanghai fairly recently, describes the drink as light and subtly sweet. The colorful Aurora series has two varieties: Northern Lights and Morning Dawn. Pictured on the left is the Northern Lights variant, which consists of butterfly pea flower tea, grapes and apples. The Morning Dawn, on the other hand, is a mix of Japanese green tea and butterfly pea tea infused with mangoes. The Snow Velvet series tops its drinks with a rich creamy cheese foam. It comes in two variants: Snow Velvet White Peach Oolong Tea and Snow Velvet Assam Milk Tea.